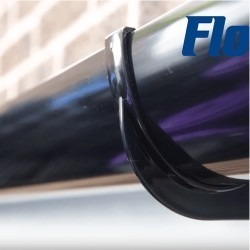 Our Grey Deep Flow Gutter is manufactured by FloPlast, the market leader in the UK. 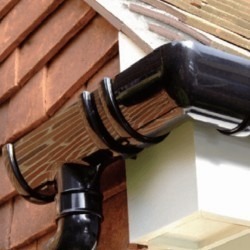 Grey Deepflow is suited to any building with a large or steep roof, and it looks particularly good with white UPVC Fascia and a slate roof. Grey is one of the most recent colours to be introduced to the high capacity range, and it is already proving popular particularly in the north of England and in Scotland. 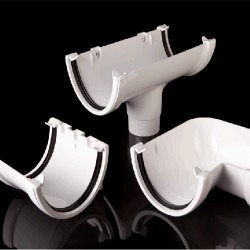 Our range of Grey Deepflow Guttering products is covered by a 20 year performance guarantee.